the thought form of the year. So take heart. 2014 is a white page to write on. Get past the past. Envision 2014 with resolution to commit your highest and best talents and resources in service to the Spirit that matters now. Conceive THE VISION for "US"
at the same time that Comet Ison came closest to Earth (.4 AU on 12-25) in its highly charged plasma-cloud debris-field fly-bye. As the "crystal fire mist" (snow) descends across much of the U.S., the white-fire core purity of 'etheric fire' reminds us that purity of heart is the fire of ordained desire from moment to moment and year to year. The new year is thus poised for systemic metamorphosis in core social networks that can represent our individual and collective 'holodeck' for the conscious evolution of global humanity with extraordinary interactive mass-to-mass TeLeComm. and quantum science geek visionaries. as above, so below. Somehow they knew that the deep space energies from the constellation of Aquarius would be 'sparked' by Galactic Alignment in 2012-2013. I've explored this in depth over this last year. Ancient wisdom has come full cycle with quantum science that explains the inextricable connection of cells and atoms WITHIN US to the morphegenic field of the entire planet, galaxy and universe... the 'Quantum Source Field'. with Internet parallels via 'The Cloud'. As explained in my Solstice-Christmas Family Letter, the Galactic Alignment surge of Aquarian 'Cosmic Love' energies represents the universal spirit of freedom and opportunity for global reboot with the 2nd Coming as Christ-like mass Conscience. as the web of light via 'Ritual of the Cloud'. the conscious evolution revolution that naturally results when the Internet reboots with Quantum Computing' (web 3.0). At the current rate of accelerated Internet evolution, that could happen in just a few years since the software apps for this can be developed by a skillful team in just a few months. But where are those with coherent vision to see how social Conscience would result? And who among these cultural creatives would put their money where their heart is, to facilitate the Next Economy with a more enlightened currency of Conscience? health assurance policies, and a rapid path to holistic healing of all known diseases. put our money where our heart is. for abundant TLC at the heart of TeLeCommunity, TeLeConscience, TeLeCare and TeLeCommerce... global Net reality with a heart. The easy way is not a mystery when known. and that begins with an Internet upgrade of core Constitutional freedoms through alignment with "first principles" for our conscious evolution. by reference to First Principles". with the CAPstone at the center of the four-sides of the pyramid. as represents the co-Creation of higher 'Self' and 'Civilization'. in our new all-connected global social network communities. and 'Civilization' (E-gov, E-learning, E-care and E-commerce). individual and collective 'holodeck' - a light language interface. and congruence along more enlightened ‘lines’ of . from ‘the spiritual top’ -- continued HERE. co-Creation with the ‘Creator-G.O.D.-Source’ of all Creation. social Conscience along more enlightened ‘lines’ of . from ‘the holodeck head’ - continued HERE. of TeLeCare for analysis, prevention and treatment of dis-ease. for wholEness and healing in global social network communities. from ‘the loving heart’ - continued HERE. The evolution of business is the business of conscious evolution. the universal law language of naturally rules. from ‘the hand of G.O.D.~ ’ - continued HERE’. How we shape global TeLeComm determines how we come into unity with TLC. This is the easy way; liberated. where cosmic love naturally rules. 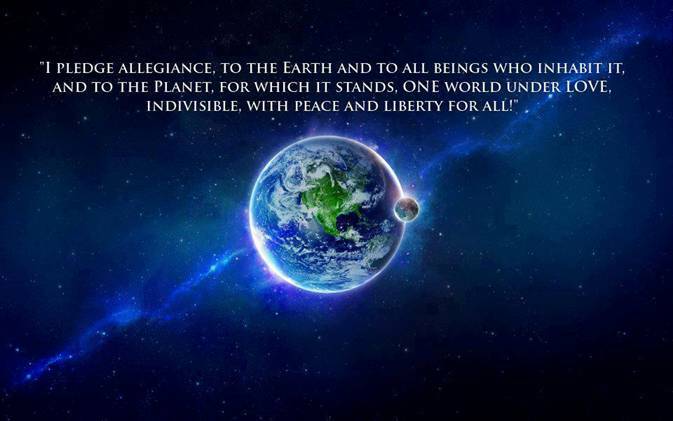 with Universal Solidarity among “US”: United Sovereigns of Earth. to fulfill the purpose and plan of ‘Universal Co-Creation’. is now possible as never before in recorded history. Vision of Virtue and Valor for the Victory. ~ Dr. Christine Page, Author of '2012 and the Galactic Center. Support your body-mind connection with the Spirit that matters.